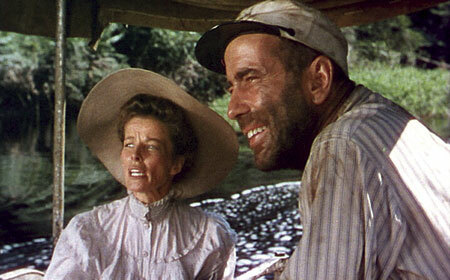 Four writers worked on the screenplay including James Agee and John Huston. Also credited is the novelist Peter Viertel who turned the experience of working on the film into his book 'White Hunter, Black Heart', which was made into a film by Clint Eastwood in 1990. 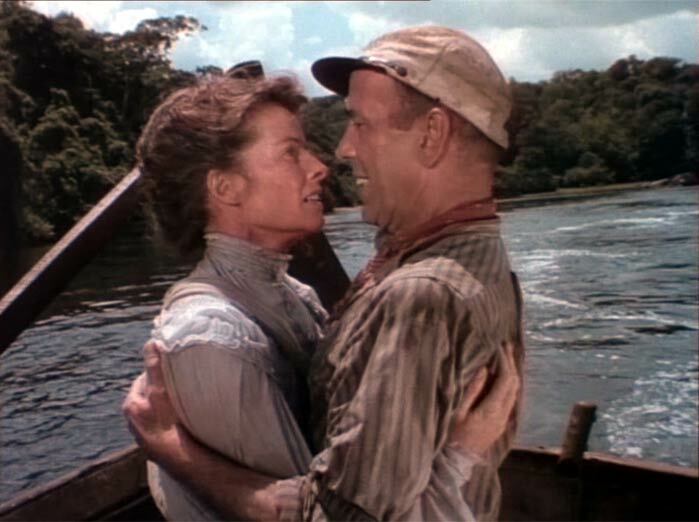 The African Queen was directed by John Huston whose glittering 45 year career included such early classics as The Maltese Falcon and The Treasure Of The Sierra Madre as well as later gems like The Man Who Would Be King, Prizzi's Honour and The Dead. He was a larger than life character who at various times was a boxer, portrait painter, cavalry rider and reporter. Huston loved hunting, gambling and drinking and directed his pictures with the vision of an artist. He got great performances from his players and himself acted from time to time - his most memorable role being the evil patriarch Noah Cross in Roman Polanski's 'Chinatown'.